He was by all accounts a great person. Humble right down to the very core. I could go on and on about how incredible he was on the mound pitching for the Miami Marlins, but we all know that was only a small part of his life. I knew that he defected from Cuba with his mother when he was 15. What I didn’t know is that it took four tries and on that fourth attempt someone had fallen over board. He jumped in the ocean saving that person, only to find out that it was his mother. 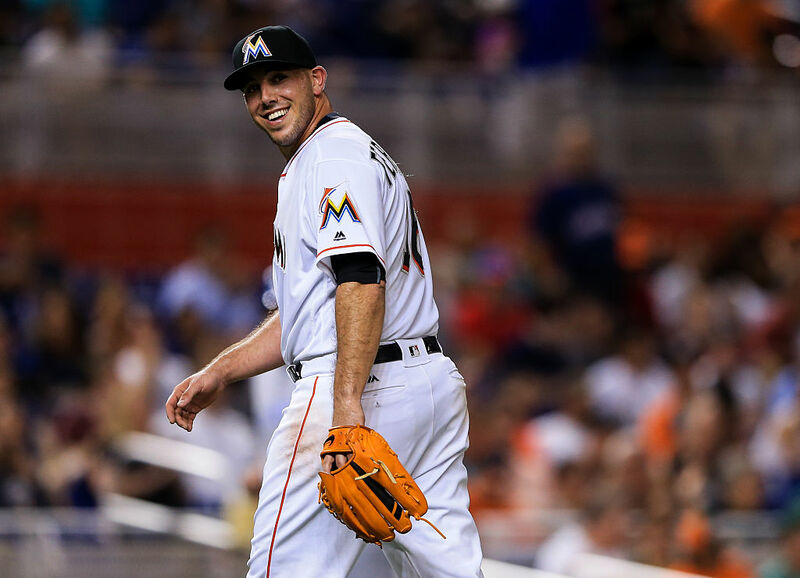 Just that story alone tells you all you need to know about who Jose Fernandez was. His personality on and off the field reminded me a lot of Pedro Martinez. He certainly would rub some players the wrong way, but he was coming at it with the best of intentions. Jose’s love for his family and especially when he talked about his grandmother brought tears to my eyes. Life can seem to be cruel and it can take a long time to heal those wounds. What he has been able to do in such a short amount of time is nothing short of remarkable. I’m not just talking about the baseball diamond. He had to go through some huge hurdles that most people his age can only imagine. Seeing his smile was infectious and watching the break on his slider was awe inspiring. My prayers and condolences for his family and friends who lost a young man that did a lot of good on this Earth. This entry was posted in Baseball and tagged Baseball, Jose Fernandez, Marlins, MLB.